← Are You Like Me? To begin, thanks Meghan Noga for the ideas (Southern heart, Midwest bound)! 1) Smile: Okay, okay, call me shallow, but the easiest way to my heart is having a great smile. 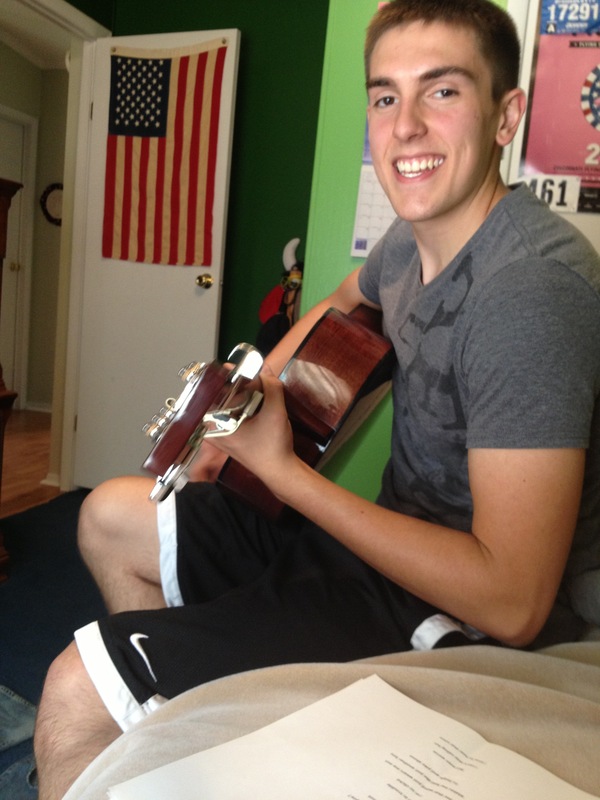 My boyfriend for example, man he has a great smile. Smiles are what make people happy, and we spend most of the time talking to each other, so you need to have a decent smile. Look at his smile!! Haha so, I took that picture when he was singing, so his mouth looks a little weird, but still, a great smile! 2) Cuddling: Who doesn’t like to cuddle? Cuddling is a big deal to me because I always crave that psychical touch. Ask my boyfriend, I’d rather cuddle than breathe. To bring you closer to each other, cuddling really helps. It allows you to just get lost in your own little world. 3) Sarcasm: I’m a sucker for sarcasm. I think if you use sarcasm, it shows more of who you are. There is some kind of raw and deep emotion that shows through sarcasm. 4) Candy! : Hell yes! I’m a junk food junkie!!! Buy me some candy and we’re good to go. Anything from Kit-Kats, Lollipops, pixie sticks, 100 grand bars, and anything else made of sugar. Why I’m not a 1,000 pounds, I’ll never know. An example of my lunch today. 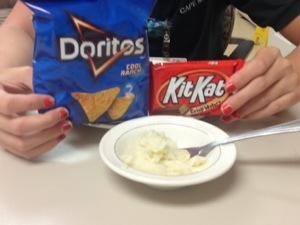 Doritos, kit-Kat and mashed potatoes. 5) Job: Have a job. No one likes a bum. Period. This entry was tagged 30 day challenge, facts, heart, Love. Bookmark the permalink.